Panda Adaptive Defense 360 (AD360) cloud security takes endpoint protection to the next level with its detection and response service. Instead of relying on reactive signature updates, it analyses and classifies every application being run on an endpoint and only blocks ones it doesn’t know about. Detects and blocks malware that any other protection system misses. Panda Adaptive Defense 360 is the first cyber-security service that combines next-generation protection (NG EPP) and detection and remediation technologies (EDR), with the ability to classify 100% of running processes. Avoid data leaks, whether they come from malware or from your employees. Discover and solve system and application vulnerabilities while preventing undesirables such as browser toolbars, adware or add-ons. Detect and block targeted attacks against your systems. 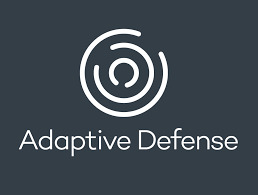 Adaptive Defense 360 provides adaptive protection against malware, integrating prevention, detection, forensic analysis and automated remediation. Raise the bar for your business security with Panda Adaptive Defense 360. Certifies each and every running application. Adaptive Defense is the only endpoint detection and response (EDR) solution that can accurately classify all the running applications in your organization. Complete, robust and adaptable protection guaranteed for any corporate environment, capable of meeting ‘zero risk’ targets. Find out who is trying to access your data and how, thanks to detailed and intelligent traceability about everything that happens on your IT infrastructure: threat timeline, information flow, the behavior of active processes, etc. Thanks to the latest generation of contextual and behavioral rules, we are able to consolidate an environment that is secure in the face of system and application vulnerabilities, even when the programs are not updated. By registering and analyzing all the information about the status of your corporate network, it is a simple task for us to keep you up-to-date about everything that takes place. You can configure reports and alerts to be informed of any malware identified, its location, the systems affected, and the action it tries to initiate. Forget about having to invest resources in technical personnel to manage quarantine and suspicious files, or disinfections and installations on infected computers. Adaptive Defense 360 classifies all applications automatically, under the continuous supervision of PandaLabs specialized technicians. The analysis, categorization and correlation of all the data from a range of external and internal sources, allows our laboratories to automate the behavioral models that reveal malicious activity even before it is initiated.